Recently, hardstyle has been making serious inroads into the more widely accepted progressive and electro genres. I’ve said this before, but the popularity of Showtek’s collaboration with Hardwell on “How We Do” and Headhunterz’ “Lessons In Love” remix stand as clear demonstrations of this. 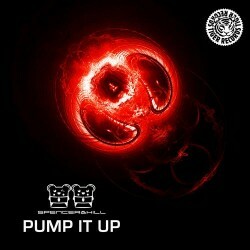 Spencer & Hill, possibly my favorite artists from Germany, have always had a knack for hard electro, but have introduced some serious hard dance elements into their newest song, “Pump It Up”. As you would expect, the flat industrial slaps make a strong appearance alongside a marching bassline, contrasting against the break, which contains a melody whose brightness really brings back memories of the always-classic “Panjoo”. Keep an ear out for another release, supposedly dropping soon.